In Hair Today, Gone Tomorrow Stella can't wait to try out the candy store's new Magical Glow-in-the-Dark Chewing Gum. But instead of granting wishes, the gum seems to bring Stella bad luck, including a VERY drastic haircut! Everyone seems to know what they want to be for Career Day at school--that is, everyone except Mallory. She can't seem to find anything she's good at. When she finally decides to be a fashion designer, some of her classmates laugh at her. And then, before she can stop it, out pops a lie--Mallory tells everyone that she's won the Fashion Fran fashion design contest. 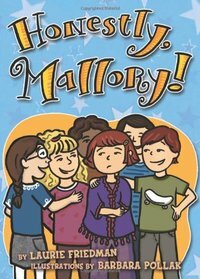 Mallory's lie grows and grows until she must face the truth and make amends with her class, friends, teachers, and parents. Best friends Ivy and Bean are back and looking for adventure in the second installment of this engaging new series. 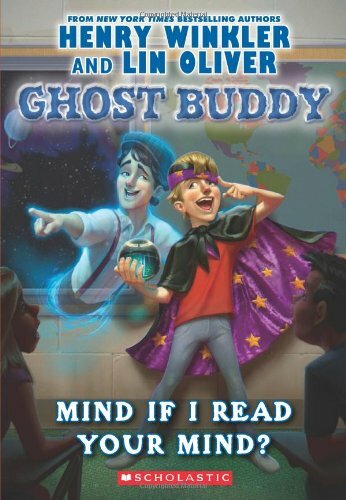 This time they've made an amazing discoverya ghost in the school bathroom! Ivy and Bean can see its cloudy form and its glowing eyes. They can hear its moaning voice. This is the best thing that ever happened at schooluntil the teachers find out. Now Ivy and Bean have to figure out how to get the ghost out of the bathroom. Will they succeed? Maybe. Will they have fun? Of course! Barbara Park's #1 New York Times bestselling chapter book series, Junie B. Jones, has been keeping kids laughing--and reading--for more than twenty-five years. Over 65 million copies sold! Meet the World's Funniest First Grader--Junie B. Jones! Room One is putting on a play. And guess what? It's about explorers looking for the New World! And there's ships and sea captains and everything! Plus here's the bestest news of all--Junie B. Jones thinks she might be the star of the whole entire production! Only, sailing the ocean blue is not as easy as it looks, apparently. 'Cause problems keep on happening. Like the actors keep catching the flu. And bossy May keeps trying to take over the show. Can this play be saved? Will the ships ever get to land? Or is Room One in for a disaster at sea that they will never forget? "Junie B. is the darling of the young-reader set." 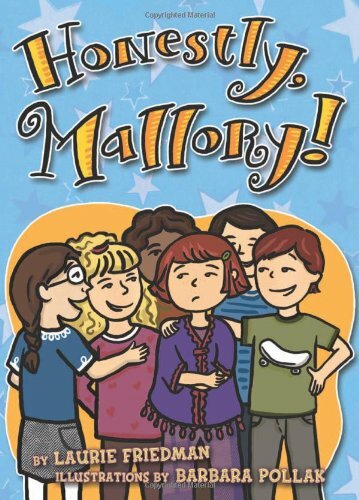 "Park convinces beginning readers that Junie B.--and reading--are lots of fun." 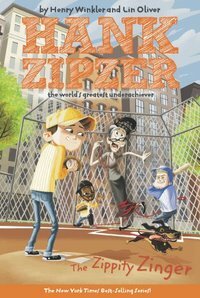 "Junie's swarms of young fans will continue to delight in her unique take on the world. . . . A hilarious, first-rate read-aloud." 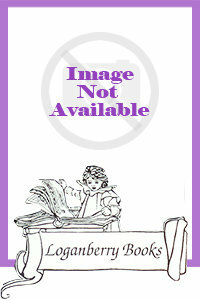 "Junie B. Jones is a feisty six-year-old with an endearing penchant for honesty." Junie B., First Grader Boo. . .and I Mean It! 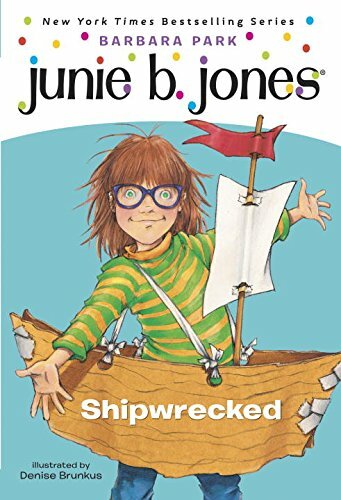 Barbara Park's New York Times bestselling chapter book series, Junie B. Jones, is a classroom favorite and has been keeping kids laughing--and reading--for more than twenty years. Over 60 million copies in print and now with a bright new look for a new generation! Meet the World's Funniest First Grader--Junie B. Jones! It's Halloween! But Junie B. is afraid to go trick-or-treating. 'Cause what if witches and monsters are really real? And what if pumpkins with sharp teeth can eat your feet? And don't even get her started on the candy corn problem. So how is Junie B. supposed to enjoy this scary holiday? Meet the World's Funniest First Grader--Junie B. Jones! Junie B. has all the answers when it comes to cheating. It's just plain wrong! But what about copying someone else's homework? That's not cheating, right? 'Cause homework isn't even a test! And speaking of tests . . . what if a friend shares an answer that you didn't even ask for? Sharing definitely isn't cheating . . . is it? Uh-oh. Maybe this cheating business is more complicated than Junie B. thought. Could she be a cheater pants and not even know it? Meet the World's Funniest First Grader--Junie B. Jones! It's time for the first-grade kickball tournament! Only, here's the problem. Junie B. has hurt her big piggy toe and she can't play on the team. So now what? She definitely doesn't want to be a cheerleader. But wait! Maybe she could be in Sheldon's halftime show! Then all eyes would be on her! And she would be the star! Hurray! Hurray! Junie B. . . . in the spotlight. What could possibly go wrong? 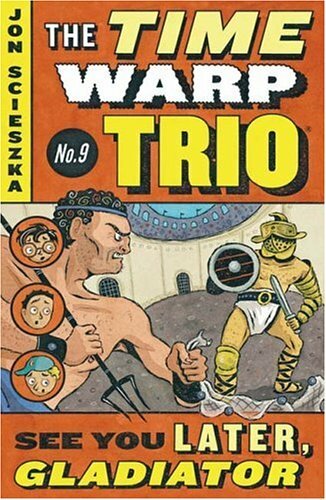 The Time Warp Trio meets Marco Polo! 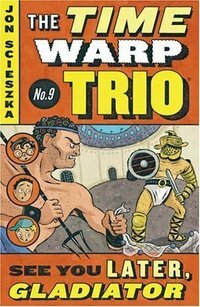 What would happen if someone had a time-warping book he got from his uncle who was a magician, and he took it to the local YMCA pool while he played Marco? Polo! with his best friends? 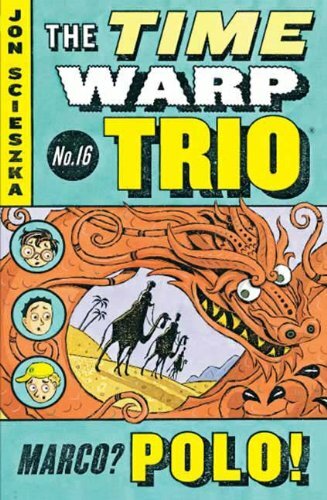 In the sixteenth adventure of the Time Warp Trio, it happens to Joe (and Fred and Sam). 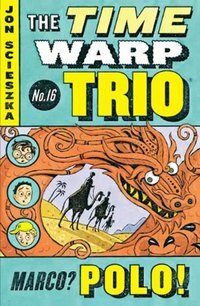 And what happens is sandstorms, desert bandits, a smelly camel, strange horoscopes, the emperor of all China, and one very famous explorer. If the explorer is Marco Polo, this must be thirteenthcentury China! Billy and Hoover are back in the hilarious new series from bestselling authors Henry Winkler and Lin Oliver! It's time for Moorepark Middle School's annual Speak Out Challenge, and Billy Broccoli thinks he's got it made. 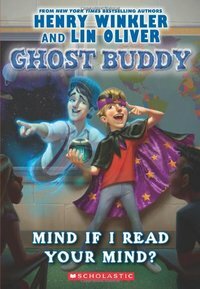 With his best friend Hoover Porterhouse--the ghost with the most--by his side, Billy's got the competition in the bag. Who wouldn't vote for a demonstration on mind reading? But when Billy lands a spot on the sixth grade team, he starts spending more time with his new teammates than he does with Hoover. And the Hoove plays second fiddle to no one! If Billy's not careful, his secret weapon might just vanish into thin air, leaving Billy to pick up the pieces of a demonstration day disaster! Everyone's favorite time-travelers are changing their styles! 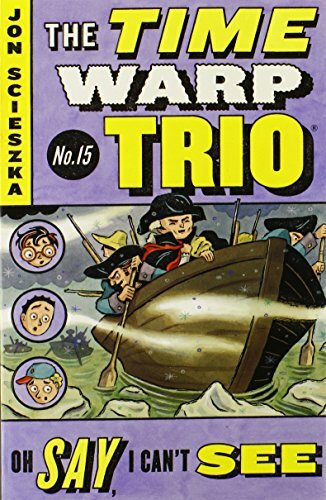 The Time Warp Trio series now features a brand-new, eye-catching design, sure to appeal to longtime fans, and those new to Jon Scieszka's wacky brand of humor. Henry, Jessie, Violet and Benny used to live alone in a boxcar. Now they have a home with their grandfather and are spending the summer on their own private island. There is a mysterious stranger on the island with a secret--but that's not the only surprise in store for the Boxcar Children. PS 87 is having multicultural week, and Ms. Adolf's class is putting on a "Foods From Around the World" luncheon. Hank makes enchiladas, and at the luncheon, Ms. Adolf piles her plate with lots of food. But after a few bites, her face turns bright red-one of the dishes is super-spicy! Ms. Adolf accuses someone of playing a mean practical joke and punishes the entire class with no recess until the guilty party comes forward. Hank realizes his trouble with numbers might have caused the problem-what if he accidentally used three cups of peppers instead of 1/3 cup? Will Hank be able to get recess back for everyone without getting detention for the rest of his life?